Barely seen here is the “V6” badge (bottom right of trunk lid) that separates this Passat from earlier ones we tested. 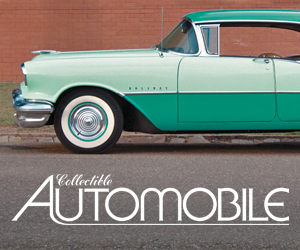 Fully loaded, it came in at just under $35,000. While we’ve driven a couple other trim levels of Passats in the past year – including a lower-level SE and range-topping SEL Premium – both were 2016 models powered by the base 1.8-liter turbo four rated at 170 horsepower. This example was also an SEL Premium, but a 2017 powered by VW’s 3.6-liter V6 with 280 horsepower, at least (as the company’s website notes) when running on premium-grade fuel. 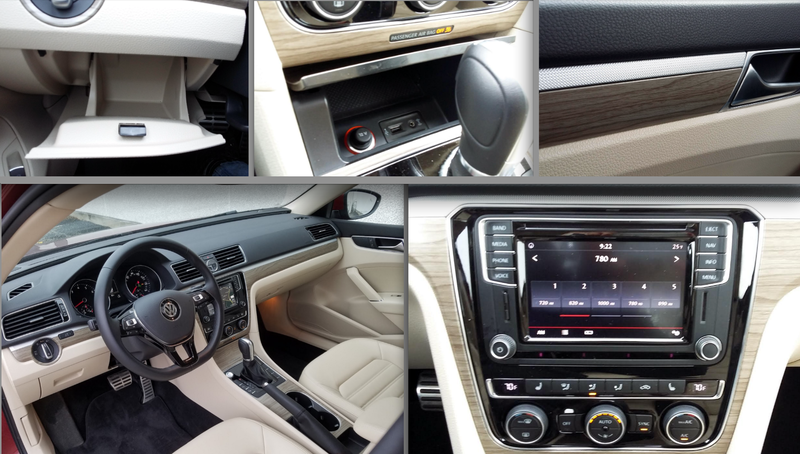 As we found with the 2016 SEL Premium, Passat’s top trim level forms a very roomy, luxurious package. With the 3.6-liter V6 engine, it’s all that … with some added muscle. Elements we particularly liked about the Passat’s cabin (clockwise from top left): handy left-side drop-down dash bin; 12-volt/USB/Aux jacks together inside covered dash cubby; ritzy-looking metal and wood trim; stately dashboard design and copious amounts of driver room; simple, intuitive control layout. Even in halfway-determined standing starts, the front tires would protest with a chirp against the V6’s strong torque. Stand on it, and there’d be another as the transmission upshifted through the lower gears. The V6 feels equally strong when asked to accelerate the car while underway, something that’s aided by quick transmission kickdowns. 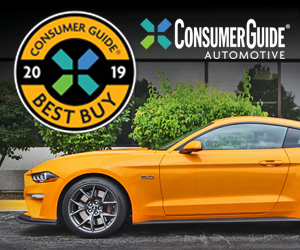 Highway cruising and passing are brisk and confident, and the 6-speed automated-manual transmission seemed quite smooth—something that not all such transmissions can claim. Although classified as a midsize, the Passat offers near full-size rear-seat and cargo space. Folding the rear seat back results in a nearly flat platform that’s level with the cargo floor. The only downside here is that the trunklid hinges dip into the load area. In 428 miles of mostly highway driving, we averaged 24.6 mpg, about what we’d expect given the car’s 20 city/28 highway/23 combined EPA figures. That’s hardly thrifty for a midsize sedan, but certainly in line for a midsize sedan with this much power. As mentioned, the SEL Premium – whether with turbo four or V6 engine – is the top dog in the Passat lineup. But you can also get the potent V6 in less-expensive SE w/Technology form, which pares some equipment but also pares the price; at just over 30 grand, it saves a whopping $4700. 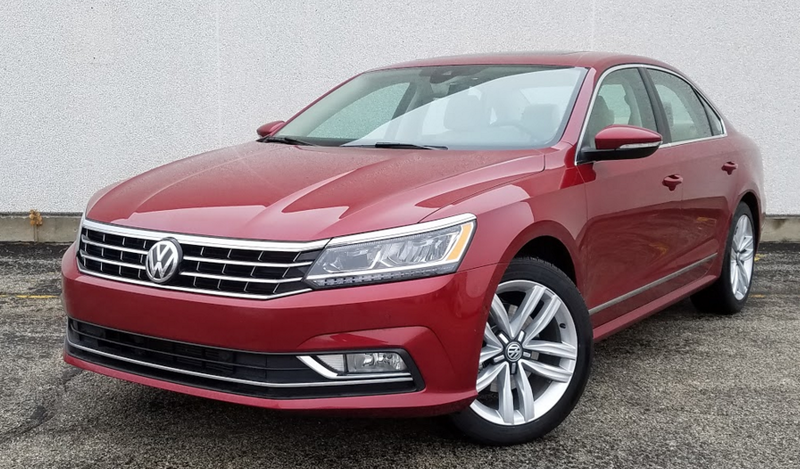 But at $34,815, the tested V6 SEL Premium comes with all the Passat has to offer, as there are no option packages. And that’s quite a lot. 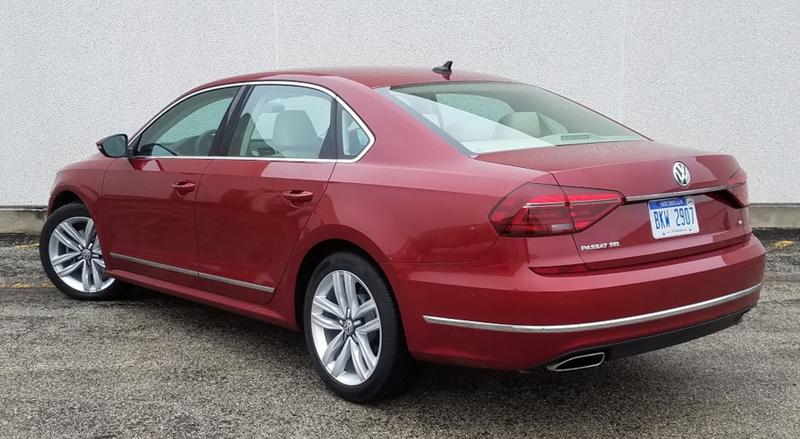 Particularly if you appreciate the car’s stately character, near full-size room, luxury-level trimming, and V6 power, this is really a premium-level sedan at a VW price. Compared to many midsize sedans, the Passat boasts very clean, straight-edge styling for a decidedly stately look. If your bosses drive Audis and you don’t want to one-up them, this might well be the German sedan for you. Written by: The Daily Drive staff on January 13, 2017.on January 19, 2017.